M1 West Yorkshire southbound severe disruption, from J39 for A636 Denby Dale Road to J38 for A637 Huddersfield Road. M1 West Yorkshire - One lane closed on M1 southbound from J39, A636 (Durkar) to J38, A637 (Woolley), because of a police incident. M1 South Yorkshire northbound severe accident, from J35 for A629 Cowley Hill to J36 for A61. M1 South Yorkshire - M1 closed northbound from J35, A629 (Thorpe Hesley) to J36, A61 (Tankersley), because of an accident. A1(M) North Yorkshire northbound severe accident, from J42 for A63 to M1. A1(M) North Yorkshire - One lane closed and very slow traffic on A1(M) Aberford Bypass northbound from J42, A63 (Selby Fork) to M1, Hook Moor, because of an accident involving overturned vehicle. 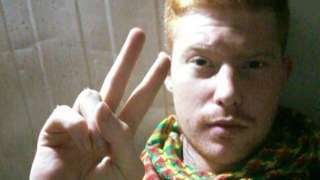 Joe Robinson faces a long prison sentence in Turkey over membership of an armed Kurdish group. M1 South Yorkshire both ways severe disruption, from J33 for A630 to J32 for M18 J32. M1 South Yorkshire - One lane closed on M1 from J33, A630 (Catcliffe) to J32, M18 (Thurcroft), because of a broken down vehicle. Traffic is coping well. Rotherham United sign midfielder Ryan Manning on a season-long loan deal from Championship rivals QPR. M62 West Yorkshire both ways severe disruption, from J27 for A650 Gelderd Road to J28 for A650 Dewsbury Road. M62 West Yorkshire - Stationary traffic on M62 in both directions from J27, A650 (Gildersome) to J28, A650 (Tingley), because of all traffic being temporarily held and a police incident. M18 South Yorkshire southbound severe disruption, at J5 for M180. M18 South Yorkshire - M18 lane closed on exit slip road and slow traffic southbound at J5, M180 (Stainforth), because of a broken down vehicle. 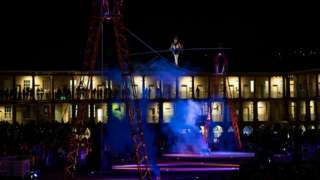 In 1861 French tightrope walker Charles Blondin performed his feat across The Piece Hall in Halifax. 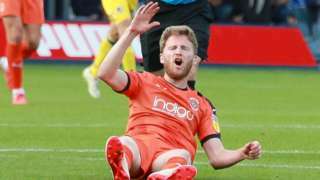 Luton Town confirm Eunan O'Kane fractured his tibia and fibula in Saturday's win over Bristol Rovers. M606 West Yorkshire southbound severe accident, from J2 for Merrydale Road to J1 for . M606 West Yorkshire - M606 blocked and heavy traffic southbound from J2, Merrydale (Euroway Trading Estates) to J1, Chain Bar, because of an accident. M62 West Yorkshire eastbound severe disruption, from J33 for A162 to J34 for A19 Selby Road Selby. M62 West Yorkshire - Two lanes closed on M62 eastbound from J33, A162 (Ferrybridge Services) to J34, A19 (Selby), because of a vehicle fire. Traffic is coping well. M1 South Yorkshire southbound severe disruption, from J35 for A629 Cowley Hill to J34 for A6109 Meadowhall Road. M1 South Yorkshire - Lane closed on M1 southbound from J35, A629 (Thorpe Hesley) to J34, A6109 (Meadowhall), because of a broken down vehicle. Traffic is coping well. 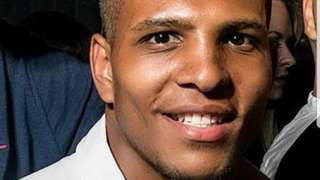 Kavan Brissett was stabbed in the chest in a Sheffield alleyway on 16 August. M62 West Yorkshire both ways severe disruption, from J24 for A629 to J22 for A672. M62 West Yorkshire - Stationary traffic on M62 in both directions from J24, A629 (Ainley Top) to J22, A672 (Rishworth Moor), because of all traffic being temporarily held and a police incident. 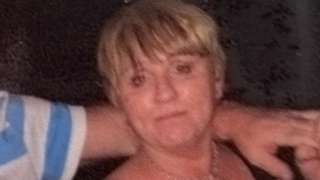 Jacqueline Wileman, 58, died when a stolen lorry ploughed into the side of a house in Barnsley. M1 South Yorkshire northbound severe disruption, at M1 J35A. M1 South Yorkshire - M1 lane closed on exit slip road northbound at M1 J35a, because of a broken down vehicle. Traffic is coping well. Joe Robinson, 25, from Leeds, is accused of being a member of Kurdish group the YPG. 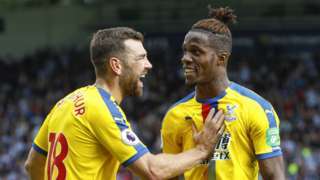 Wilfried Zaha produces a moment of brilliance on his return to the team as Crystal Palace earned victory against Huddersfield.